Jack Ma, Chief Founder, Alibaba, raising his hand. 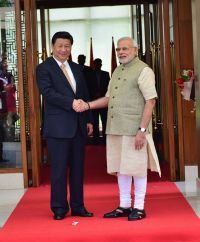 A pleasant coincidence of sorts while India and China ( Narendra Modi & Xi Jinping ) were focusing on “Economic Engagement” to boost bilateral relations in India, the Chinese Internet Giant ( Alibaba ) was on course to making millionaires with its largest IPO raising $ 21. 8 billion equalling the combined IPOs offered in the first six months in U.S.A. creating a new history in ‘e-Commerce’ – the growth phase of future retail in the world. ” 12 MOUs signed & China committed an Investment of $ 20 b in India over 5 years ” .. .
Alibaba’s new Campus in China with the NYSE inscription in the front. [ Market Cap in $ : 1. Alibaba – $ 223 billion; 2. Facebook – $ 200 billion; 3. Amazon – $ 151 .7 billion; 4. e-Bay – $ 65. 5 billion; 5. Yahoo – $ 41.0 billion ; 6. Twitter – $ 30. 8 billion; 7. LinkedIn – $ 25. 6 billion ] Only GOOGLE with a market cap of $ 400. 3 billion stands tall above all these. It also signifies China’s (a) sign of Growth and tech enabled Commerce, and (b) the rise of their common class as consumers. Of significance is also the attention captured by Alibaba in the U.S.A. to an extent that many companies totally avoided listing IPOs this week for fear of being outplayed and outsmarted. Only 4 companies in the previous week engaged and 12 expected do so next week. Masayoshi Son, CEO of Japan Telecommunications ( Softbank ) holds a 32. 4 % share being the biggest shareholder, and Yahoo holds a 16. 3 % share in Alibaba. While Masayoshi Son has been a visible player in Asia ( he is the richest man in Japan ), Jack Ma can emerge as a strong rival on the higher rungs of the ladder contributing to China’s economic power. 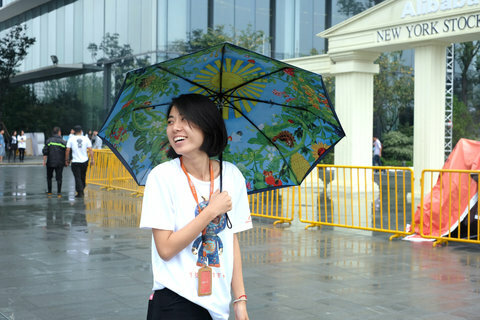 That Alibaba’s IPO holds a mythical power cannot be disputed. The expectations from the two events are not just huge but even transformational. 1. Indian people expect better relations with China and 2. the Business World expects Alibaba’s growth to sustain and boost e-Commerce even while stimulating competition. Investors in general, institutional and retail, will as always look for ways to enhance their wealth by being a member of the financial parlor. 1. Improved relations and economic development with the inherent capacity to influence one another can shape the path of progress fructifying the goal of ‘peace and wealth’ standing out as the ” Greatest Transformational Event ” in the history of India in this millennium. The leading dispensation has been presented with a god-send here to engrave and embellish the mark in Gold, Platinum, Palladium, Silver or any precious gem. 2. People also expect that e-Commerce will get bigger by the day transforming the way we buy, sell and improve our standard of living. I visualize the challenge for the companies to lie in (a) getting in to its fold sectoral items in terms of healthcare, energy, transportation and the likes through vertical integration; and (b) to look for new models of e-business. Both the events face challenges and prospects. Better relations is a gain for Peace, Progress and Wealth. Will India redefine its relationship with China ? 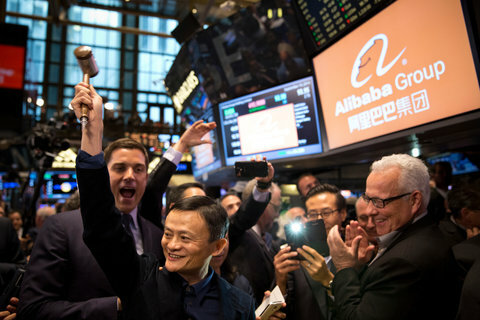 IPO (Alibaba) is a gain for economy, business and investors. Will Alibaba dominate the sectoral horizon and will the dominance be sustained and promoted ? Keep watching is the best any one can do at this juncture !